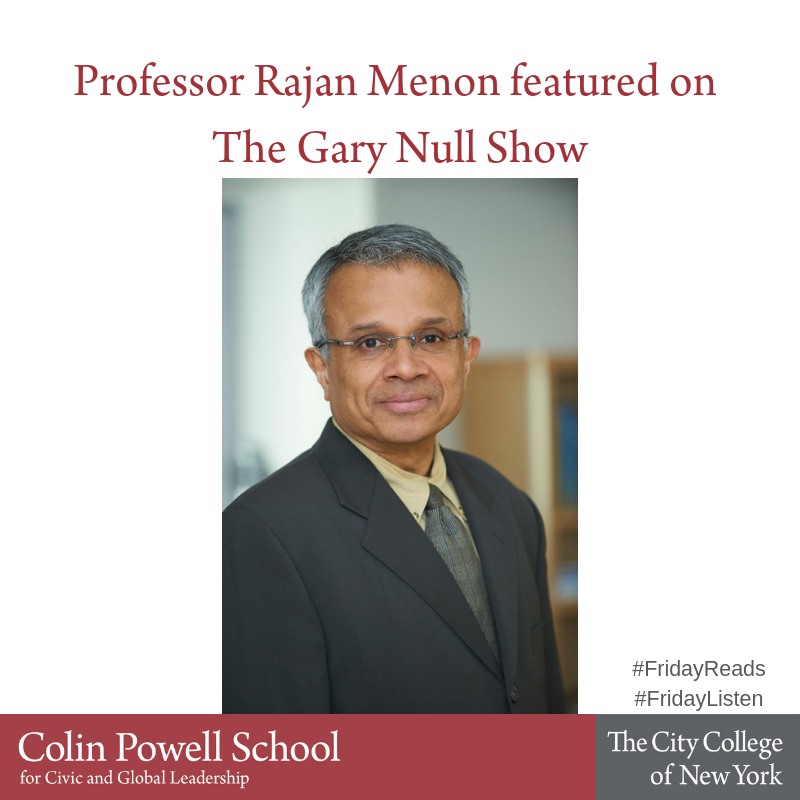 “Professor Rajan Menon holds the Anne and Bernard Spitzer Chair in Political Science at City College of New York and is a senior research scholar at Columbia University's Saltzman Institute of War and Peace Studies. He is also a Global Ethics Fellow at the Carnegie Council on Ethics and International Affairs. His research has focused on American foreign and national security police, globalization and international relations, and Russia and the former Soviet states during the post-Cold War era. He has served and consulted for many foudnations and international institutions, and in the past has taught at Leigh and Vanderbilt universities. Professor Menon has written many opeds for the LA Times, Newsweek, Financial Times, Christian Monitor, Boston Globe and others and appeared on major American and foreign broadcast networks.